We are a leading Manufacturer of diode laser hair removal system, home laser hair removal machines and shr opt elight ipl hair removal machine from Delhi, India. Laser hair removal technology came into existence in the middle of 1990s after lots of experiments ensured it safe and effective. This technology not only ushered in a new era in the human struggle of removal of unwanted hair on different body parts but also introduced an ingenious method to get rid of them for longer periods of time. For the past few years this technology has gained ground rapidly and people are showing more faith in this technique. With the dawn of ultra-technology, Laser hair removal seems to be more secure than ever and the side-effects like temporary rashes and burning sensations in the skin in some peoples (more likely in the people of dark complexion) can be healed easily over time with oral applications. Permanent changes in the skin are negligibly rare. In the course of the time, Laser hair removal treatment has come out of the clinics and home devices are available to laser your hairs yourself. Treatment with these home machines is much more affordable than that in the clinic of a dermatologist (where he/she does laser hair removal with his/her own machines). No woman would appreciate hair except for on her scalp. A smooth and hairless skin is every woman’s dream. We all want to have a smooth and silky skin for as long as possible. Hair plucking and waxing are among the few methods that may guarantee you a smooth skin for at most four weeks. But at what expense? These ways entail appalling pain. So these are not the most appreciated ways due to the discomfort they imply. Using the razor or hair removal creams might seem quite a painless way. But what is the benefit of this if they offer just a few days without hairs even though they don’t hurt and are more comfortable. Luckily, in this era, there is a real genie named technology and like all other fields of life, here also it has made its appearance offering us something that seems to be finally a permanent solution, a painless way to get rid of body hair for a very long time. 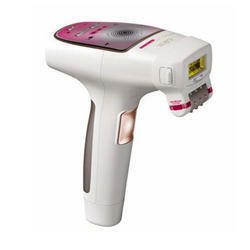 It is called a laser hair-removal-machine, and it is now available in most stores that provide personal-care products. So what is laser hair removal and how does it work? Well, these machines are capable of emitting rapid pulses of laser light, which completely destroy the hair follicle under the skin. Without the follicle, hair is not able to come out again. However. it is important to note here that hair follicles start regenerating after some time that may be from five to ten years. That means though laser technology may promise you a hair free skin for long periods, it is not something that may be called perfectly permanent. Either way, five to ten years is a long time. It is a safe technique that uses the rapid pulsation of light fascicles to destroy hair and the laser doesn’t have to linger on the skin. The duration of these treatments varies according to the type of hair you have.Furthermore, if you want to use such a product at home, always pick one that is FDA approved, for your safety. What are risks of using this method at home? Worried about the risks of being exposed to a laser? Well, they do emit laser, but the laser hair-removal machines made to be used at home have a lower intensity compared to the ones used in professional beauty salons. And this is for obvious reasons as they are made to be used by anyone-not a trained professional- wishing to get rid of unwanted body hair. Again, to reduce the risk to a minimum, your choice of the device must have the FDA approval, and you should strictly follow the instructions concerning its use. Depending on the skin type, after treatment, you might get the same sensation as that of getting a sunburn. 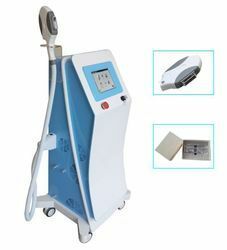 The skin might become slightly red and hot due to the laser’s action. A few compresses with cold water or ice will help with the reduction of the inflammation.